The talented French Chef Valérie offers a French cuisine with Mediterranean and local influences. 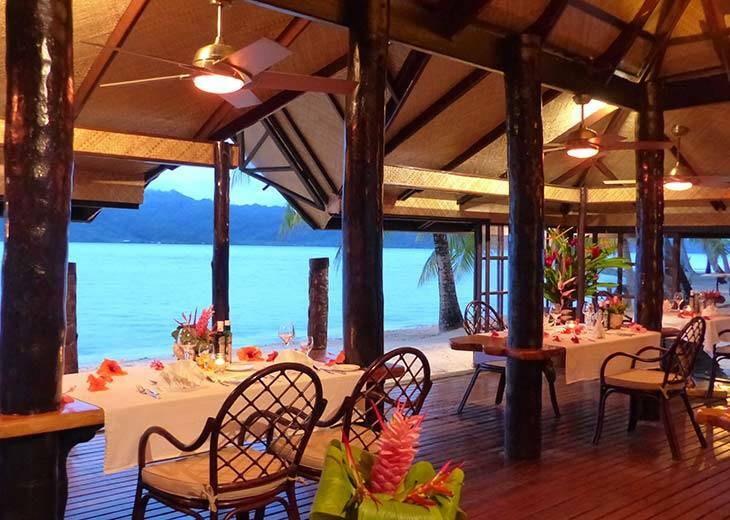 Vahine Island has become a renowned place for exquisite food and certainly one of the best dining experiences in French Polynesia. In our kitchen, local products are privileged. Everything is prepared on the spot. The Chef Valérie Costa proposes you a cuisine creative and inspired by her travels and experiences around the world. Influenced by its Mediterranean and Italian roots, she likes to highlight the treasures of French Polynesia. All coconut preparations come from the coconut trees of our motu, Taha’a vanilla, fish, herbs, honey and most fruits and vegetables from Taha’a and Raiatea. We favor short circuits for your health, for taste and for the planet.